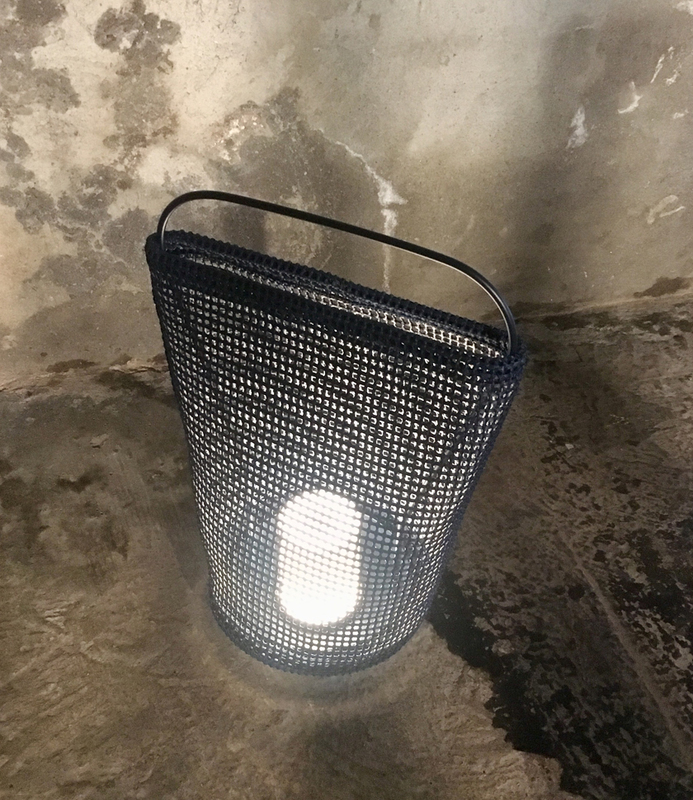 Lanterna has been designed and made to bring a cosy ambience to outdoor living spaces. The exposed curve of the metal rod structure at the top of the lamp forms an intuitive handle, indicating portability. It is a rechargeable lamp with a lampshade made from specially-developed, UV-stable thread. 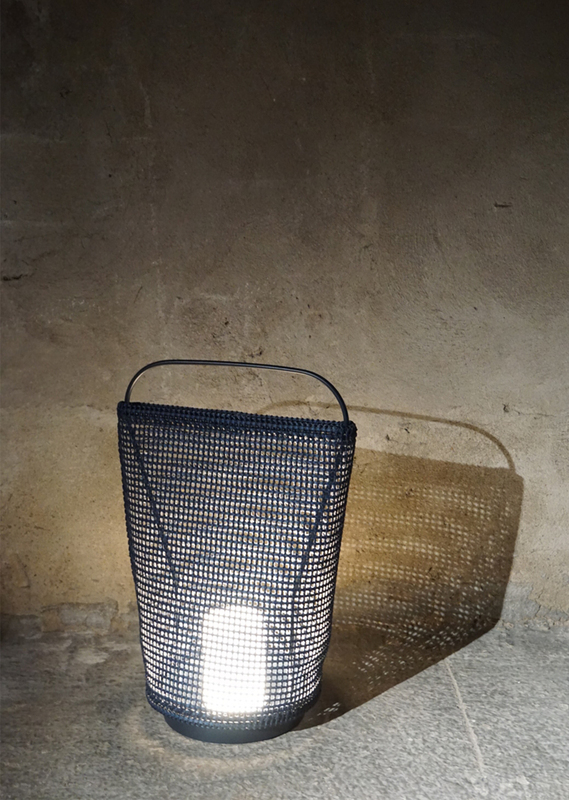 The open weave style, typical of Paola Lenti’s research, describes the lamp’s form delicately yet clearly.